Mahindra & Mahindra is scheduling to launch compact SUV-S102 in 2015. Company also plans to invest in a flexible engine plant, which can produce both, petrol and diesel engines to accomplish market demands. Mahindra upcoming SUV – S102 will have smaller 1.2-litre, three cylinder engine. 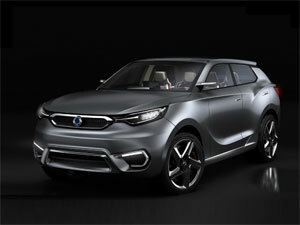 The engine is being jointly developed with SsangYong, one of the leading automobile manufacturers of South Korea since 1954, which embraces petrol and diesel engine that will power its future SUV model. The engine include five different configurations ranging from 1.2-litre to 1.5-litre, four cylinder engines are will be utilized by SsangYong, while Mahindra’s upcoming compact SUV (S102), will be integrated with 1.2-litre three cylinder engine, which is undergoing tests and is estimated to launch in 2015.